i'm thinking about buying a mobile ham radio to listen to. i know i can't transmit until i get a license, but i thought i could listen in for now so i can learn. do any of you guys have any suggestions? 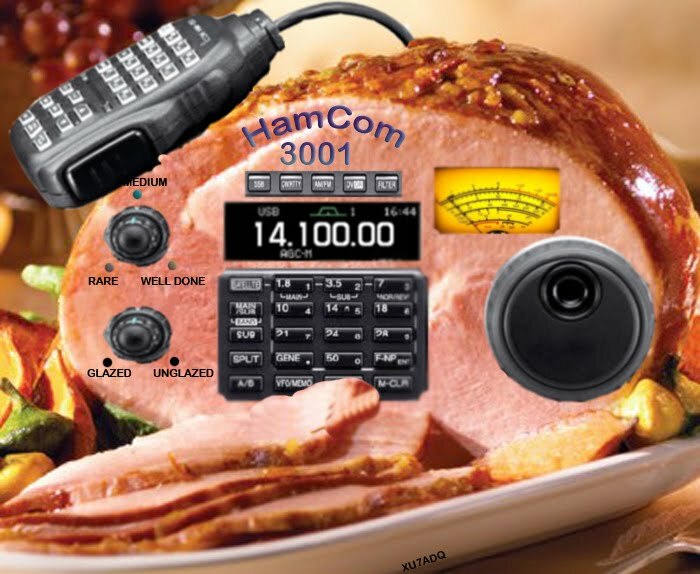 New Hams are often advised to get a hand-held radio. But, I personally find that a mobile radio that can go into a car, or sit on a desk as a base unit is better in the long run for a first-time radio. Note that a mobile will require a separate power supply if you set it up as a base station. So, it really comes down to what you want to do. If you decide you want a handheld, for the price of the Alinco, you can get a better mobile. For the price of the TYT, I would suggest going with Wouxon (also a Chinese-made radio) that costs around $100 and has gotten very good reviews for the price. If you decide to pursue a mobile radio, please PM me before you buy. If you have further questions about ham radio, please feel free to contact me. I've got a HR 2510 and talk on the so called free bands but never 28.000 or higher because I don't have a license. I'm waiting for the Bacon Radio Operators Thread. I don't know what it is about your first link but every time I tried to look at it, it froze my computer. At any rate, I'd go with the first one. Of course, it depends on where you live, but it seems that most areas with any population at all have a good number of repeaters in the 450 band now. So a radio that can listen to both 2 meters and 450 (70 cm) would probably be a good way to go. The TYT radio is 2m only, so you would have less capability with that one. Also, that radio is intended for both ham and commercial use and, as such, has some features that you probably won't need for ham use, like the voice scrambler. Now this is just me, but based on my commercial experience, I'd probably go with one of the more well-known brands like Kenwood, Icom or Yaesu. From what I've heard, Alinco is a pretty good radio but I have no direct experience with them. Whatever you get, make sure it has a good warranty. You can be pretty sure the big boys are going to stand behind their stuff. I would probably go with a portable. That way, you can take the radio with you wherever you're going and be able to listen whenever you want to. The main aggravation with a portable is keeping the battery in good shape, but if you charge it properly you should be okay. Your disadvantage for now is that you can't transmit and the battery really needs to operate under both transmit and receive conditions to keep it in good shape. I would advise you to go to www.arrl.org/shop/What-s-New/ and order their repeater directory. This will help you to know what repeaters are where and on what frequency. If you think it will be some time before you get your license (hopefully not), you might want to consider going with a hand-held scanner. You'll be able to listen to most all the ham repeaters plus public safety stuff if you're interested in that. If you are interested in public safety communications, you'll need to find out if your local area uses conventional radio systems or a trunking system and buy your scanner accordingly. My thinking was that if you get a scanner now, you'll have plenty of time to look at more radios (and save up your money) before you make a decision. Good luck on your quest and I hope you get licensed soon. Listening is fun, but being able to talk is a lot more fun! if you're just starting out, you might look into used gear. you can get decent performance for a LOT less $ outlay. I would buy from somebody that would back it with at least a return policy, tho - particularly for handhelds. my interest was shortwave listening, I bought a nice used Kenwood R2000 desk unit from AES in Milwaukee for not a lot of money. that was shortly before the big internationals went silent. HCJB was a favorite. I miss it. Haven't had the longwire up for several years now, it's a shame. thanks guys, i didn't think about getting a scanner. i think i'll do that for now. i wanted to get a hand held because i'm a truck driver and don't really have room in there for a bunch of equipment. being on the move all the time, even with limited range, i should still be able to talk to a lot of people. I have a license but have never used my radio, I need to dig it out and plug it up. smokemonkey wrote: i'm thinking about buying a mobile ham radio to listen to. i know i can't transmit until i get a license, but i thought i could listen in for now so i can learn. do any of you guys have any suggestions? I did a search on ham radio and was wondering. Did you ever get your radio? I need to get my 2-meter rig back up and running; it's another one of my projects I keep procrastinating. I also need to upgrade my license to General so I can get on HF. I have one of those cheap Chinese HT's and it works pretty darn good for a 45 dollar radio. Not many bells and whistles, but for what I use it for it works just fine. I've got one of those Puxing HT's too. It's been a good radio so far. You can't beat the price. I've got an ICOM V8000 2 meter in my vehicle and an ICOM 706 on my desk. Both me and my XYL are hams. It's not fake and I can prove it. Got Extra two weeks ago. Now putting a rig together after 30 years QRT. Nathaniel_Firethorn wrote: Got Extra two weeks ago. Now putting a rig together after 30 years QRT. You sound like me, I haven't had a real station set up since our first child was born and he just turned 28. Plus when you play with radios every day there's not a lot of motivation. Congrats on getting back on - you may notice some things have changed since you were on before. Do any of you guys happen to have any study guides for the Technician test lying around that you don't need? And ones that would work for the current test?